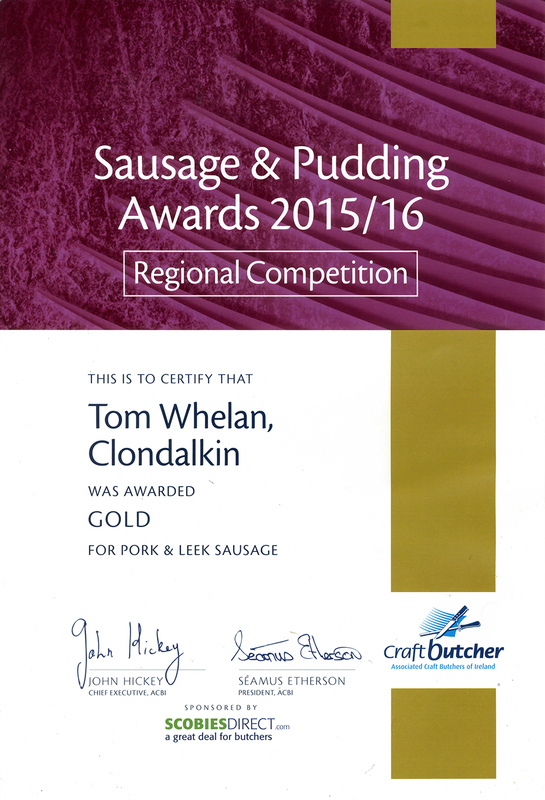 Whelan’s Gourmet Foods is an Irish owned and family run butchers and has been in the industry for over 40 years. Our sausages are manufactured in our own factory where we take tremendous care in ensuring that the best possible ingredients are used to obtain the highest standards of quality. We offer a wide range of meats at very affordable prices in our two locations in Dublin. In recent years we have specialised in our gourmet range of sausages from Apple, Sage & Black Pudding to Chilli & Jalapeños and have received excellent feedback. As well as our gourmet range of product we also cater for the health conscious providing delicious low calorie turkey burgers & sausages together with gluten free sausages for those with dietary requirements. Our products have been highly acclaimed in the industry winning a number of awards over the last number of years. Pork & leek sausages are out of this world, you have to try them yourself. BBQ them all year round!! © Copyright 2017 - Tom Whelan Meat Products Ltd. | To The Web With ♡ From Boom 22.